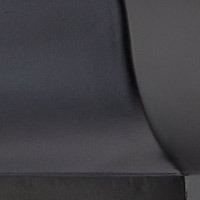 Q It says the height is 14" is that from the top of the hook to the bottom of glass? 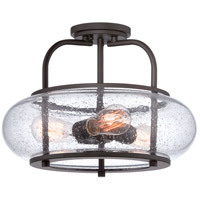 Any idea what the glass lantern part is top to bottom? 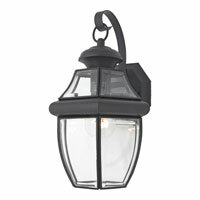 A The Quoizel Lighting Newbury 1 Light Outdoor Wall Lantern NY8316K measures 14"H from the highest point (top of the hook) to the lowest part of the fixture. 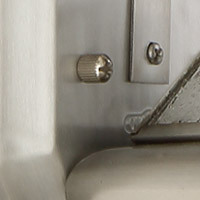 Q What are the back plate dimensions? 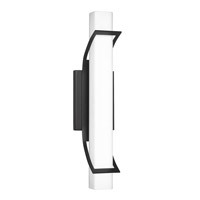 A The backplate of the Quoizel Lighting Newbury 1 Light Outdoor Wall Lantern in Mystic Black NY8316K has a height of 5.5" and a width of 4.75". 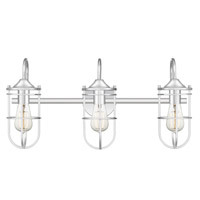 Q Can a CFL bulb be used with this lamp? 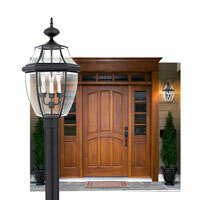 A Yes, the Quoizel Newbury 1 Light Outdoor Wall Lantern NY8316K can use CFL bulbs. 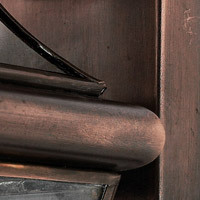 Q Does this product rust in any of the finishes and including the hanger. 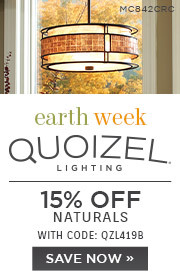 The lights I have on my home (not Quoizel) rusted in a few months and the rust ran down the paint. 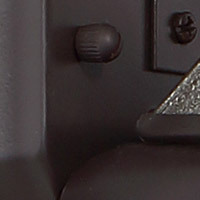 The rust is mainly from the hanger. 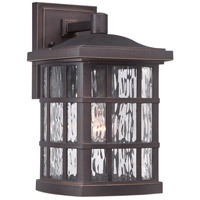 A The Quoizel Newbury 1 Light Outdoor Wall Lantern NY8316K is constructed of brass material with a powder coat finish for protection of outdoor elements. 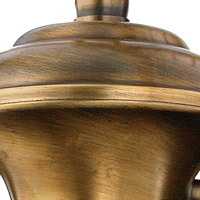 The durability of brass material on outdoor items varies widely depending on the location and how much direct and indirect weathering the piece is subject to. 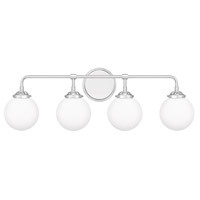 Q Can this lamp use an LED bulb? 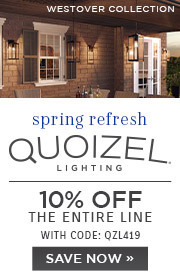 A Yes, the Quoizel Newbury 1 Light Outdoor Wall Lantern NY8316K can use a medium base LED bulb. 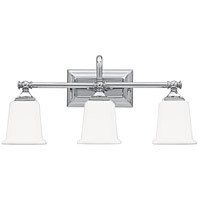 Q I have heard that the outdoor brushed nickel lighting rusts quickly. Is that true? 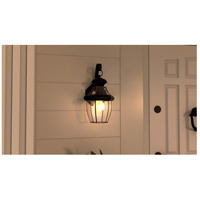 A The Quoizel Newbury 1 Light Outdoor Wall Lantern NY8316K and the Newbury collection offers this collection in a numerous different color finishes over a Brass metal material. 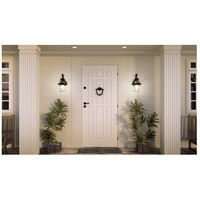 Brass lanterns use a durable powder coating which is very resistant to ultraviolet light and other harmful elements. 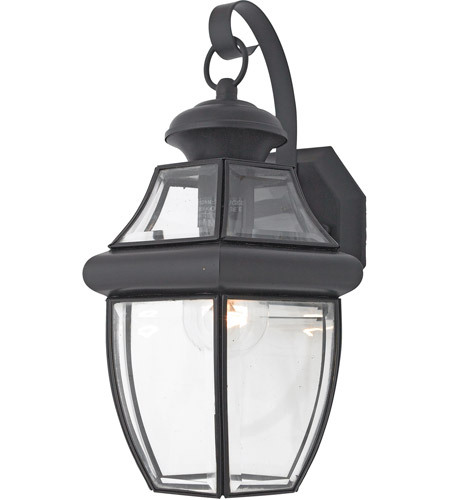 The durability of a Brass lantern, or any outdoor items varies widely depending on the location and how much direct and indirect weathering the piece is subject to. 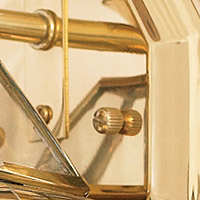 Remember, solid brass (such as this item), whether kept in or out-of-doors, can always be re-polished and re-lacquered, no matter how hopeless it may look.